Discover the benefits your smile will enjoy when you get braces. When most people think about getting braces the main reason has to do with straightening a misaligned or crooked smile, also known as a malocclusion (“bad bite”). After all, nothing makes you feel more confident than being able to flash a perfectly straight smile. Of course, people often don’t realize that orthodontic treatment and a straighter smile can afford other benefits to their oral health, as well. From the office of Conroe, TX, dentist Dr. Thomas English, here are some of the lesser-known benefits of getting braces. When your teeth are straight there are fewer areas where cavity-producing bacteria can get trapped. Misaligned smiles that are left untreated are more likely to harbor plaque buildup and food, as there are more areas for them to get stuck. Before long plaque buildup leads to cavities and gum disease. Another way braces can improve oral health is by improving tooth function. The upper and lower rows of teeth do not line up properly when the bite is misaligned. 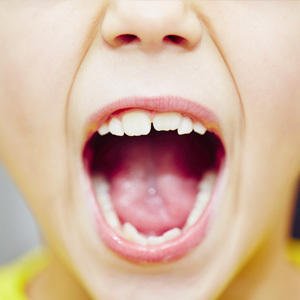 Underbites and overbites are examples of misaligned bites. In such cases, the work of biting and chewing is not always evenly distributed across teeth when they are not properly aligned. Uneven distribution can lead to additional strain on certain teeth. Those teeth can sustain extra wear and tear, which can adversely affect oral health. If you do not fix this issue more stress is placed on the jaws, which can lead to joint pain and problems such as TMJ disorder, as well as excessive wear and tear on certain teeth. Over time, this wear and tear can lead to fractures or cracks in teeth. Several options are available when it comes to braces. Whatever type of braces you select, you will benefit by straightening your smile, correcting your bite, and improving oral health. Four main types of braces include traditional metal, clear ceramic, clear aligner therapy, and lingual. The brackets for metal and ceramic braces are placed on the front of the teeth, while they are discreetly placed on the back with lingual braces. The clear aligner therapy such as Invisalign is a popular choice by many since it doesn't involve brackets or wires. Your Conroe dentist can help you select the right type of braces for you. There are several benefits to getting braces. 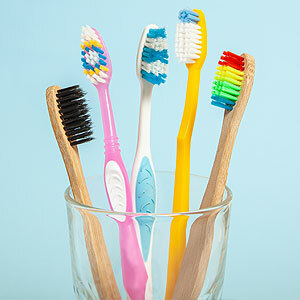 Beyond achieving straight teeth and a corrected bite, you will also improve tooth functioning and make oral hygiene easier. Both of these benefits can improve your oral health. To learn more about how braces can improve your oral health, schedule a consultation with Conroe, TX, dentist Dr. Thomas English.